Founded in 1919, Leatherhead Food Research provides expertise and support to the global food and beverage sector. We provide practical solutions that cover all stages of a product’s life cycle from consumer insight, ingredient innovation and sensory testing to food safety consultancy and global regulatory advice. We operate a membership programme which represents a who’s who of the global food and beverage industry. Supporting all members and clients, large or small, we provide consultancy and advice, as well as training, market news and published reports. As we are celebrating our 100 year anniversary there will be new exciting content, sharing highlights of our history and social events throughout the year. Membership of Leatherhead gives access to the member helpline for advice on regulations, product development, nutrition, safety and consumer research. View the benefits of membership here. 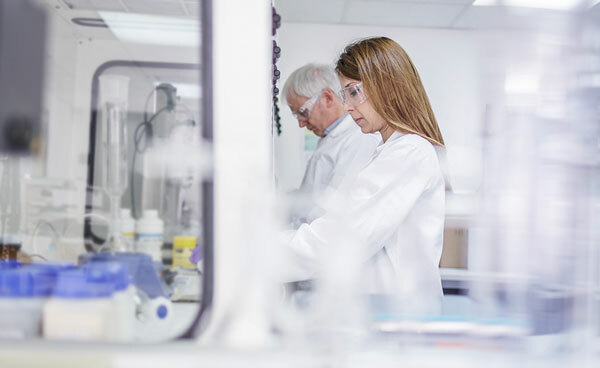 We specialise in food science, sensory science, nutrition, regulation and market insight and will work with you across the product development lifecycle. Our consulting offerings span sensory, consumer insight, regulatory, food safety, food manufacturing process, product formulation and reformulation and market insight. Our cross-disciplinary approach allows our responses to be fully informed. We have clients across the food & beverage sector representing food manufacturers, ingredients companies, retailers, distributers, regulators and food service companies. Our clients value us for our independent, practical advice and our innovative spirit. We have been serving our clients, members and partners in the global food & beverage industry for almost a century. We have a world-renowned reputation and recognition as professionals and experts. Our membership packages offer you access to experts whenever you need them. Along with this renowned helpline, we give you access to research and papers and market-leading training course and events. We are part of the Science Group (AIM:SAG) which believes in the practical application of science to deliver commercial benefits to our clients globally along with benefits to the broader community. Science Group employs 350+ scientists and engineers. Our south of London R&D hub at Great Burgh in Epsom has fabulous, dedicated facilities for the food & beverage industry. We have extensive food science laboratories for microbiology, microscopy, texture and food functionality, fully fitted kitchens, trained sensory panel facilities, consumer hall testing booths, focus group facilities, nutrition testing amenities and a training centre. "I wanted to thank you and your team for the fantastic training event you ran for us and let you know how much we valued the opportunity to gain insight into Sensory Panel Training at Leatherhead. Everyone at Leatherhead made us feel very welcome and went out of their way to offer us a good experience that met our needs." "I am writing to let you know that the service I received for GI testing this year was excellent. Testing was completed within agreed timescales and the report I received was concise and contained all the relevant information on the methodology." "Oh my word!! Stunning facility. Beautiful surroundings and training rooms that are spacious and welcoming."